Sylvia Norton, AASL Executive Director, and Marci Merola, ALA Director for the Office of Library Advocacy, came to Michigan on September 17 to lead a workshop on unpacking the school library provisions of the Every Student Succeeds Act (ESSA). 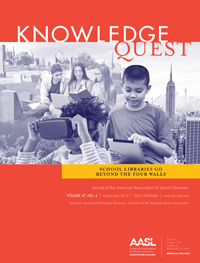 Provisions for school librarians are authorized but not required in the federal legislation. 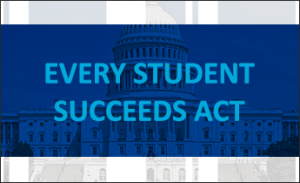 Since every state is developing individual ESSA implementation plans, it is very important for each state and school library association to advocate for inclusion of these provisions in their state. In Michigan, this advocacy is imperative! Reading achievement has declined such that Michigan is ranked 46th in 4th-Grade Reading on the 2015 National Assessment of Educational Progress (NAEP), and the number of certified school librarians has dropped such that Michigan is ranked 47th in the ratio of students to certified librarians. Michigan students deserve equal access to effective school library programs! The Michigan Association for Media in Education (MAME) has been actively advocating for the inclusion of school librarians into ESSA implementation plans in our state. Some of the association’s efforts include sending a letter about the ESSA school library provisions to every public school superintendent in the state, creating a list of ESSA talking points for school library supporters in Michigan, leading a call to action in response to Michigan’s request for public comments, and being involved in Michigan’s ESSA Implementation Plan Tactical Review Committee. 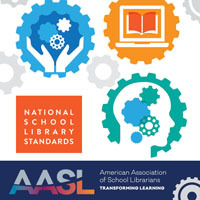 The AASL ESSA workshop was an opportunity for attendees to learn about the ESSA school library provisions, to see the new AASL position statements, and to hear about the Michigan Association for Media in Education advocacy efforts. It was chance for attendees to learn what they could do to advocate. Alyssa Day, elementary school librarian in Fowlerville Public Schools, said one point that made a lasting impression with her was the need for an elevator speech. She said that many people do not realize the large impact that school librarians have on students. School librarians need to be more vocal, and having an elevator speech on hand will help. Social media can also be powerful. Klaudia Janek, high school librarian in Bloomfield Hills, said that an important takeaway was that school librarians are recognized stakeholders in ESSA work. This is especially important since this was not the case with No Child Left Behind. School library supporters need to be ready with talking points to inform others about why school librarians are important. There is an opportunity for school librarians to be included in the Michigan Department of Education’s ESSA Implementation Plan. As MAME’s current advocacy chair, I along with others have been actively involved in the ESSA work in Michigan this past summer. The AASL Workshop helped me to clarify specifics about the ESSA provisions, to think about finding additional coalition partners in our work, and to solidify ideas for the next steps in working with the Michigan Department of Education. I have already referred back to the AASL ESSA Handbook that was distributed at the meeting and know that it will be useful in future advocacy work. The Michigan Association for Media in Education wants to thank ALA/AASL and Sylvia Norton and Marci Merola for providing this ESSA workshop in Michigan! 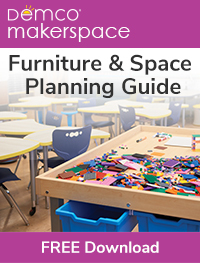 It was a valuable experience for the more than 30 Michigan school library supporters who attended. I believe that all attendees walked away with information about the ESSA school library provisions, with understanding of the need to advocate for effective school library programs in Michigan, and with ideas for general advocacy in their own communities.